When you think you have all the answers, life changes all the questions. 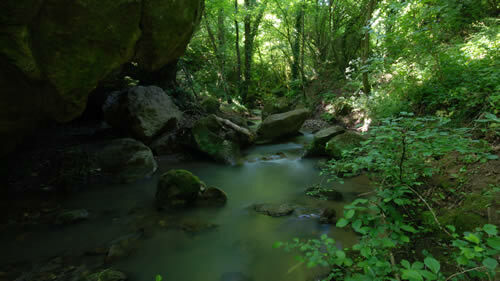 The archaeological site of Acquarossa is located within the farm of Raffaele Rocchi – Casale San Francesco. The plateau called Colle San Francesco (approximately 32 hectares, 285-315 meters above sea level), site of an Etruscan settlement, is a roughly triangular plateau with an elevated area to the south (Casale San Francesco), an almost flat area to the northwest (Pian del Sale) and a narrow spur oriented southwest-northeast that forms the plateau’s western boundary. Driving from Viterbo, taking the Strada Provinciale 5 (the Teverina) toward Bagnoregio, make a right turn after about 4 kilometers onto the Strada Provinciale Acquarossa (direction Bagnaia). A few hundred meters after the turn you will find the gate of the archaeological area on the left hand side. Acquarossa, like many of the Etruscan sites, covers a significant area, in this case the area is a wide plateau at the confluence of three rivers: the Acquarossa, the Francalancia-Fornicchio and the Vezza. 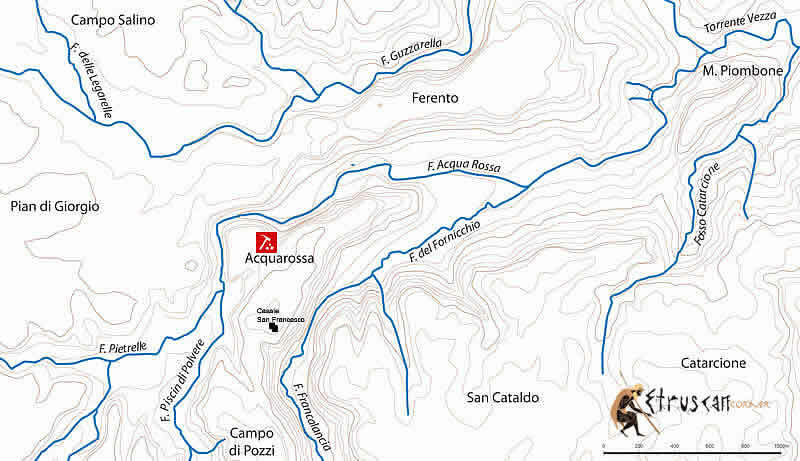 As already mentioned in a previous post, Acquarossa is located where three rivers joined. 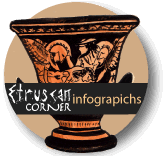 Such places were considered by the Etruscans to have a particularly strong energy and in these locations they preferred to build their sacred sites. 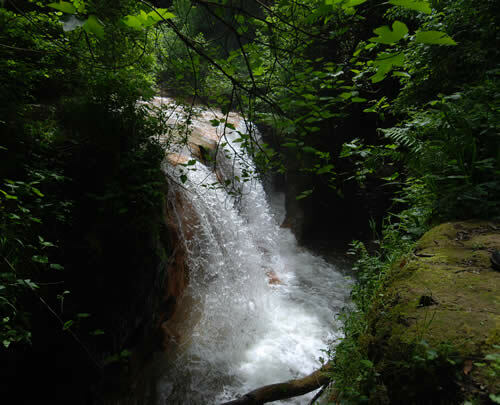 The ancient forests and bushes of this area have been largely sacrificed to agricultural development but nature is an irrepressible forces and visitors to this site will see the same landscape that was viewed by the Etruscans. The discovery of the site of Acquarossa is due to the intuition of the Viterbo archaeologist Luigi Rossi Danielli who, at the beginning of the 20th century, discovered, on the tufa plateau of San Francesco, the ruins of the Etruscan city of Ferento. 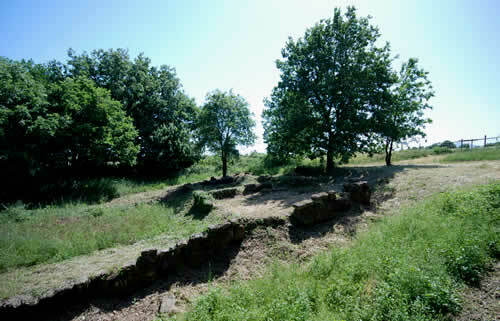 The excavations were abandoned for many years, until 1966, when the Swedish Institute of Classical Studies in Rome, the Swedish University of Gothenburg, Lund, Stockholm and Uppsala, in collaboration with the Superintendent for the Archaeological Heritage of Southern Etruria, encouraged by Gustav VI Adolf the King of Sweden (a passionate archaeologist and founder, in 1925, of the Swedish Institute of Classical Studies), restarted the excavations. …. It is impossible to determine the exact function of this area, which could be a sort of center for sacred and civil functions. All of the finds from Acquarossa are in the National Etruscan Museum – Rocca Albornoz, Piazza della Rocca 21b, 01100 Viterbo. Opening hours: 8:30 a.m. – 7:30 p.m. (from Tuesday to Sunday); closed Mondays. Acquarossa is an archaeological site that raises more questions than it answers. 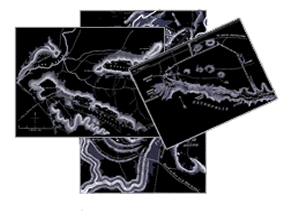 In future articles we will explain what we see as the mysteries of Acquarossa. . The site of Acquarossa is on the farm of Raffaele Rocchi, and can be visited by appointment by contacting the Swedish Institute of Classical Studies in Rome at least one day in advance or by contacting Mr. Raffaele Rocchi directly.